Western Ontario Section has established a training centre to bring identified competitive skaters together to train over 10 training days from September 30, 2015 to April 12, 2016. The attached document provides information on this elite program including: goals, background information, on and off-ice staff, etc. NEXXICE Senior - WORLD CHAMPIONS! Congratulations to NEXXICE Senior who represented Canada and Western Ontario Section at the ISU World Synchronized Skating Championships® 2015, in Hamilton, ON, April 10-11, 2015. What a fabulous show! Skating for NEXXICE: Shannon Aikman-Jones, Maria Albanese, Ellicia Beaudoin, Emma Bonafiglia, Kelly Britten, Courtney Broadhurst, Lee Chandler, Alessia Chiovitti, Carla Coveart, Samantha Defino, Courtney Gray, Yu Hanamoto, Renata Khuzina, Victoria Kwan, Kristen Loritz, Nichole Manahan, Kerrin Caitlin McKinnon, Victoria Smith, Kiersten Tietz and Gillian Tyler. 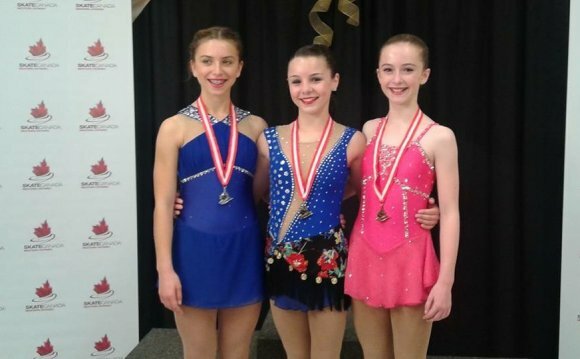 NEXXICE Junior represented Canada and WO at the ISU World Junior Synchronized Championships, Zagreb, Croatia, March 13-14, 2015, as Team Canada 2, placing 5th. Another great National Championships for synchronized skating took place February 27 - March 1 in the Pavillon de la Jeunesse, Québec City. Congratulations to all teams! Of note, NEXXICE Senior they won their 9th consecutive national championship, breaking their previous Canadian record! Congratulations NEXXICE - Team Canada 1, Silver Medalists at Worlds! NEXXICE from the Burlington Skating Centre claimed the Silver medal at the 2014 ISU World Synchronized Skating Championships in Courmayeur, Italy, April 5, 2014. Team: Shannon Aikman-Jones, Maria Albanese, Ellicia Beaudoin, Kelly Britten, Courtney Broadhurst, Anna Cappuccitti, Carla Coveart, Samantha Defino, Yu Hanamoto, Victoria Kwan, Katia Leininger, Kristen Loritz, Bethany Rees, Renee Richardson, Victoria Smith, Kiersten Tietz, Jillian Tyler, Emily Van Den Akker and Julia Uhlitzsch. Are You Interested in Becoming a Synchro Judge? We're looking for present and former skaters who would be interested in becoming a synchronized skating judge.